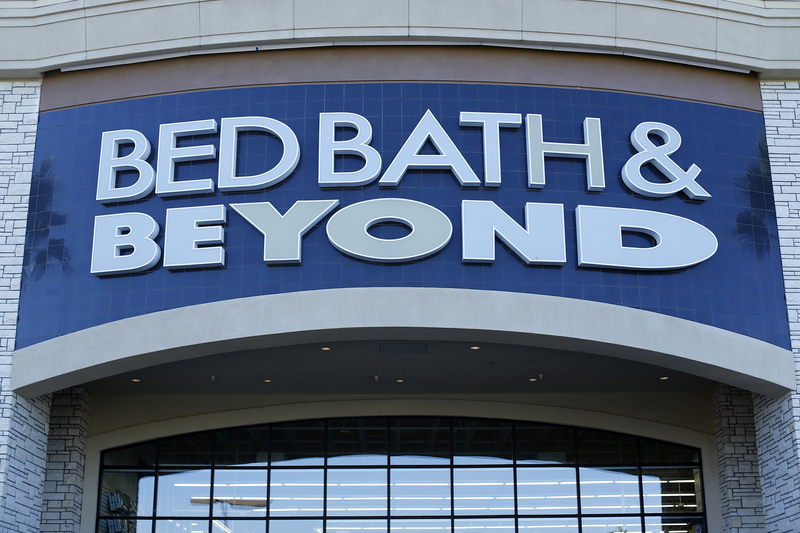 A Bed, Bath & Beyond store's sign is pictured in San Marcos, California September 24, 2014. A trio of activist investors on March 26 unveiled a slate of 16 people they intend to propose as directors to replace the entire board at Bed Bath & Beyond, including the retailer’s co-founders and co-chairmen and its chief executive officer. Legion Partners, Macellum Advisors GP and Ancora Advisors, which collectively own some 5 percent of Bed Bath & Beyond, reckon the company can earn in excess of $5 a share a year with the right board and management. In their filing with the U.S. Securities and Exchange Commission the three argue that the company has underperformed its peers over the past one, three, five and 10 years, as well as since April 2003 when Steven Temares became CEO. “Our board of directors and management team remain committed to creating value for all shareholders by transforming our company to best position Bed Bath & Beyond for long-term success, and will continue to take actions to achieve these objectives,” a company spokesperson said. Shares of Bed Bath & Beyond had risen 27 percent to $17.64 a piece at 10:24 a.m. in New York.